Our watercolour collection is truly unique. 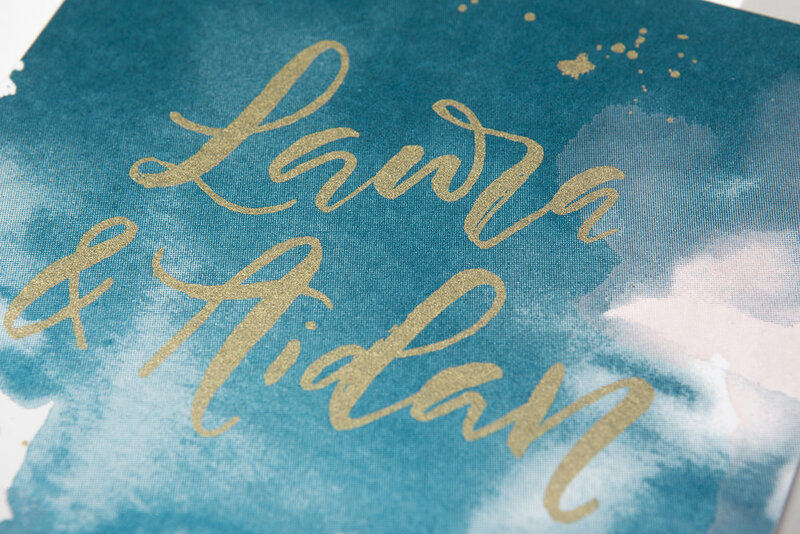 The blue watercolour on the main invite is printed using two different shades of ink at the same time, the inks are placed next to each other so when they are pulled through the screen they blend into each other creating this subtle blend of dark to light. This technique combined with the texture of the watercolour creates a beautiful piece of art for your guests to keep for ever. Metallic gold ink adds the finishing touches of luxury to this design. Samples are available from our shop.